Pressgram is a photo publishing iOS app with a focus on content ownership and integration with WordPress blogs both self-hosted and via WordPress.com. It is an alternative to Instagram which has recently changed its Terms of Service (TOS) giving FaceBook, owner of Instagram, free use of any photos and content posted to the Instagram network. Pressgram’s TOS does not do that and, if used with a WordPress blog, places your photos and content where you control its use and get the benefits of bringing people to you. However, if you do not have a WordPress blog, you can still use Pressgram like you would Instagram as it will post links to your Pressgram content to FaceBook and Twitter. Notice I said links and not photos. FaceBook and Twitter can not grab links or the content shown via a link. During my recent vacation, I used a WordPress.com blog to thoroughly test out Pressgram in the field. The app is very easy to use and has already been upgraded three times by the developer in response to user requests. As of this writing, Pressgram is at version 1.3 with plans for further upgrades via feedback from the Pressgram community. I use Pressgram to share my photos from my iPhone 5’s Photo Library. While one can take photos directly in Pressgram, I like to use the Pro HDR app from EyeApps which adds some pop to my iPhone photos. Once the photo is taken, I fire up Pressgram and select it. Pressgram Scale and Crop screen on an Apple iPhone 5. 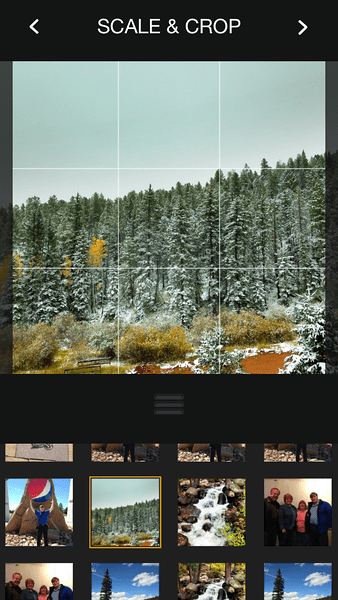 As of Pressgram version 1.3, the crop can only be a square. One of the planned upgrades will allow full cropping. Something many of the photographers using it have requested. Pressing the arrow in the upper right takes you to the Edit screen. You can rotate, add a vignette or auto adjust using buttons here. There is also a set of 11 filters you can choose from. More are promised in future versions. Normally, I do not edit my photos already having done so in the Pro HDR app. 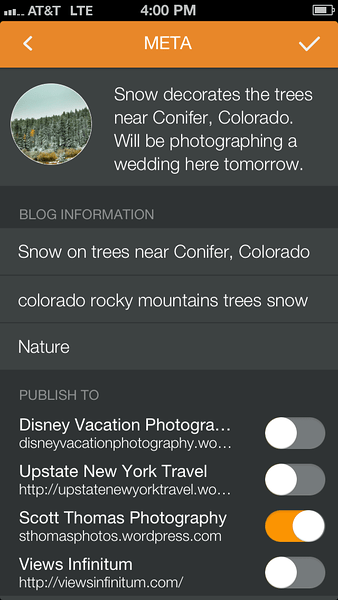 Next is the Meta screen where you add the photo’s caption, post title, tags and category or categories. 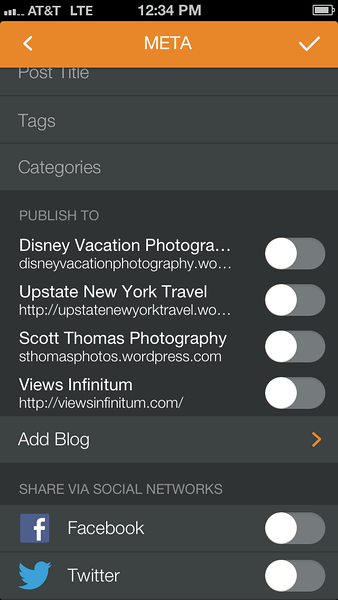 It is here you can choose which blog or blogs to post it to. You can also choose not to post to any blogs and instead post it to FaceBook and/or Twitter and to the Pressgram community. Pressgram Meta screen on an Apple iPhone 5. FaceBook and Twitter selections are not shown. The FaceBook and Twitter selections are just below the list of blogs and can be scrolled down to. Pressgram’s Facebook and Twitter selection screen. The WordPress.com test blog I was using was setup to automatically post to Facebook and Twitter. So, once the photo was posted to the blog, the blog would then post the link to the other two social networks. 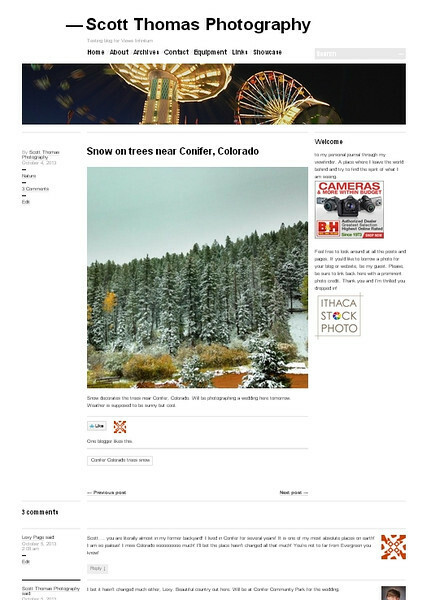 The blog uses the post’s title when it does. I found I had to be very descriptive or use a catchy phrase in the title to get the results I was looking for. Which was people clicking the link and visiting the blog. The completed post done by Pressgram. Finally, I had an easy way to update a WordPress blog on the road, in the mountains, at the Grand Canyon or from Disneyland. Anywhere I had access to the Internet. I found Pressgram so easy, I have created a new blog just for my Disney vacations where I will share photos to my Disney followers starting next week. I encourage you to check out Pressgram if you want control of your content via social networking. When you get on Pressgram (or if you are already using Pressgram), look me up. My Pressgram user id is stphoto. This entry was posted in Photography and tagged app, apple, ios, iphone, photo, pressgram, review, sharing, social media, user. Bookmark the permalink. You are most welcome! Looking forward to Pressgram’s evolution towards Version 2.